"Remembering is necessary because it's only thanks to looking back at what happened (that we can) ensure that it never happens again," said hairdresser Olive Muhorakeye, 26, who survived the genocide. In the afternoon, officials will join around 2,000 people in a "walk to remember" from parliament to the national soccer stadium, where candles will be lit in a night vigil. At least 10 heads of state were expected to attend, Stephanie Nyombayire, head of communication at the president's office, told journalists on Saturday. Canadian Governor General Julie Payette and European Commission President Jean-Claude Juncker were also expected. Meanwhile, French President Emmanuel Macron wants to declare April 7 as a national day of commemoration of the Rwandan genocide, his Elysee office said in a statement on Sunday. The French president will not attend official commemorations of the massacre on Sunday. He will be represented by Hervé Berville, a Tutsi survivor of the genocide who is a member of French parliament from Macron's ruling party. Rwandan President Paul Kagame repeatedly accused Paris of being complicit in the bloodshed. 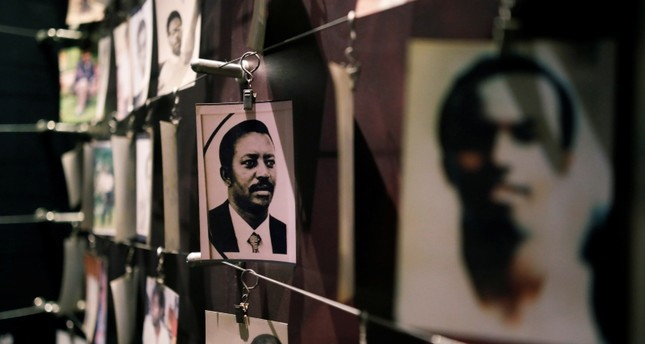 The 100 days of slaughter began on April 6, 1994, after President Juvenal Habyarimana and his counterpart Cyprien Ntaryamira of Burundi - both Hutus - were killed when their plane was shot down over the Rwandan capital. The attackers have never been identified. "The ruling party has decided to adopt dictatorship from early days after the genocide as they said they were protecting the national sovereignty but now I feel that should end," opposition figure Victoire Ingabire told Reuters on the phone. "The government should let the opposition politicians work freely because denying them their rights will create problems. Twenty-five years is enough, the government should let people be free to express their opinions." Kagame, who won nearly 99 percent of the vote in 2017 polls on a 96 percent turnout, rebuffs the criticism, pointing to Rwanda's strong economic growth and relative peace since the genocide.